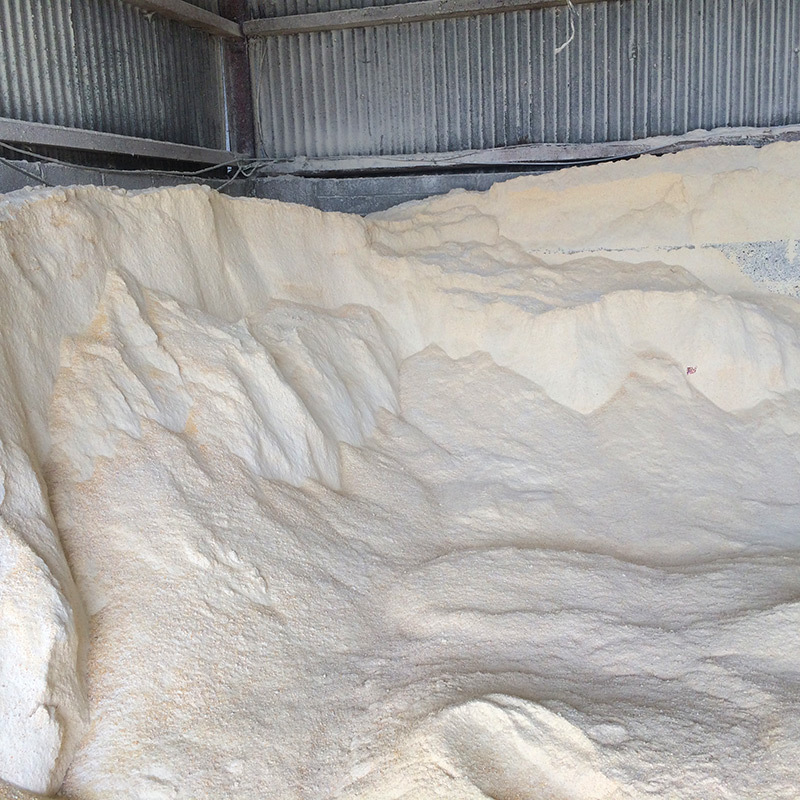 Grind Maize, Cereals, Pulses etc. including high moisture materials. Exclusively individually adjusted shear plates give easy control of fineness of grind. NO screens are used. Shear plate design allows grinding of wet material! Free swinging, heat treated hammers. Hammers can be turned so all 4 corners can be used. 51 inch tip to tip diameter on hammers at full extension. 3 point style: includes fill hopper, hardened hammers and hardened hammer pins. Trailer/auger style: includes hardened hammers and hardened hammer pins. 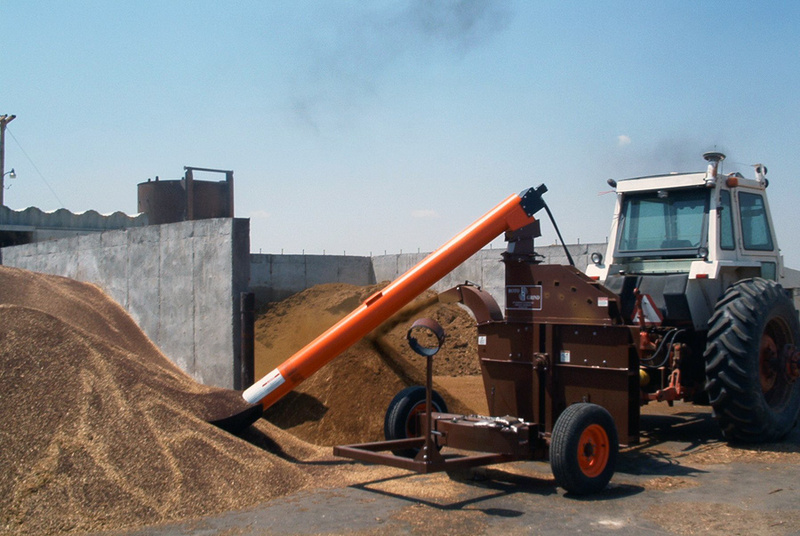 Loading auger is 10” * 12ft, equipped with hydraulic motor, hoses and hydraulic flow control. Auger fill hopper and auger attachment swivel included. 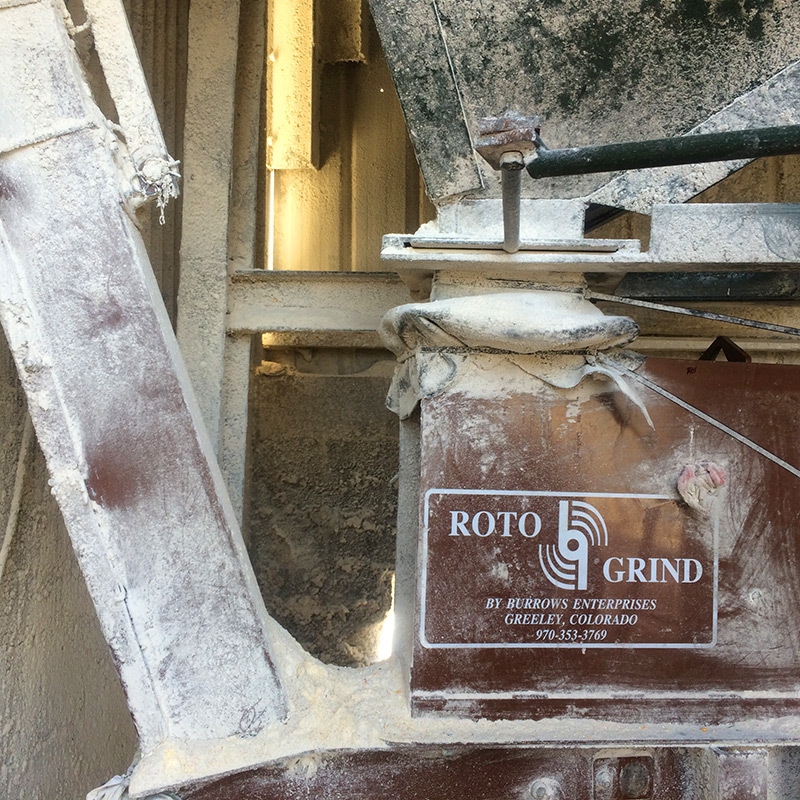 The Roto Grind Grain Grinders are high capacity grain processors that allow you to control the consistency and size of grind without sacrificing capacity. 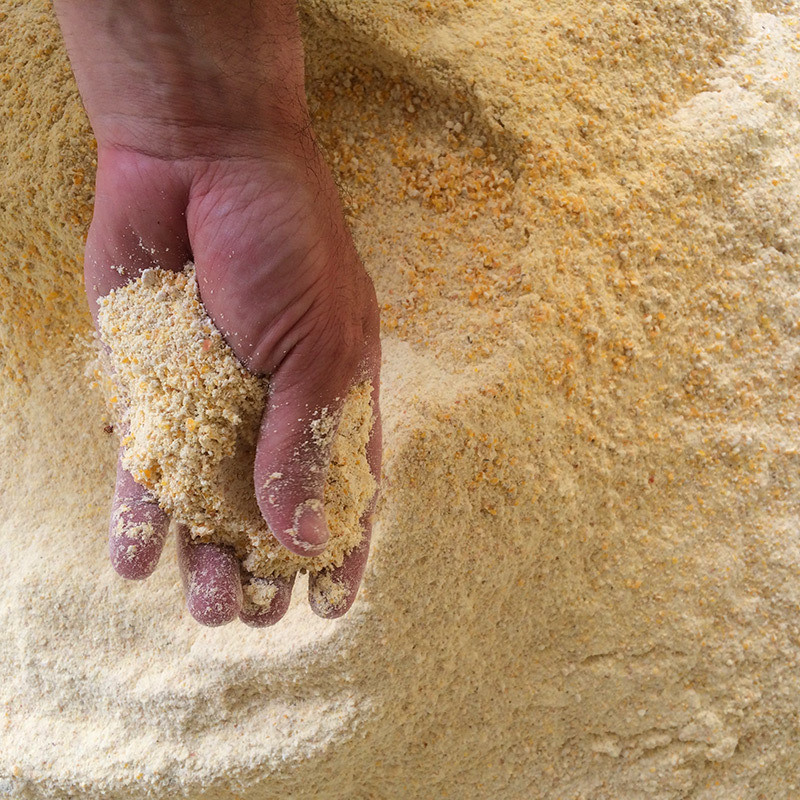 University tests show increased milk production when using finely ground corn over rolled corn in the feed ration. Milk gains of 1.5 to 3.0 litres per cow per day have been achieved! The size of grind is easily adjusted. 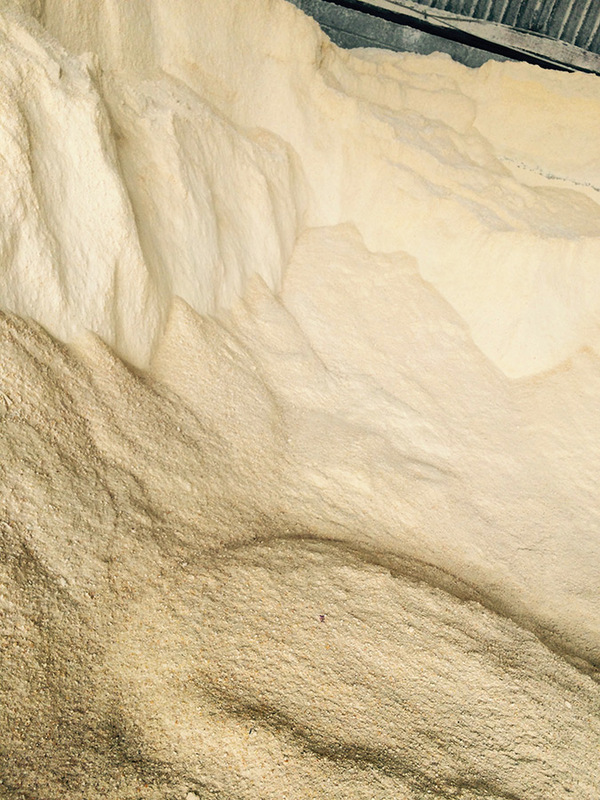 With 9 shear plates available, feed can be processed from a coarse grind, where grain is just cracked to a very fine grind, where it is almost flour. 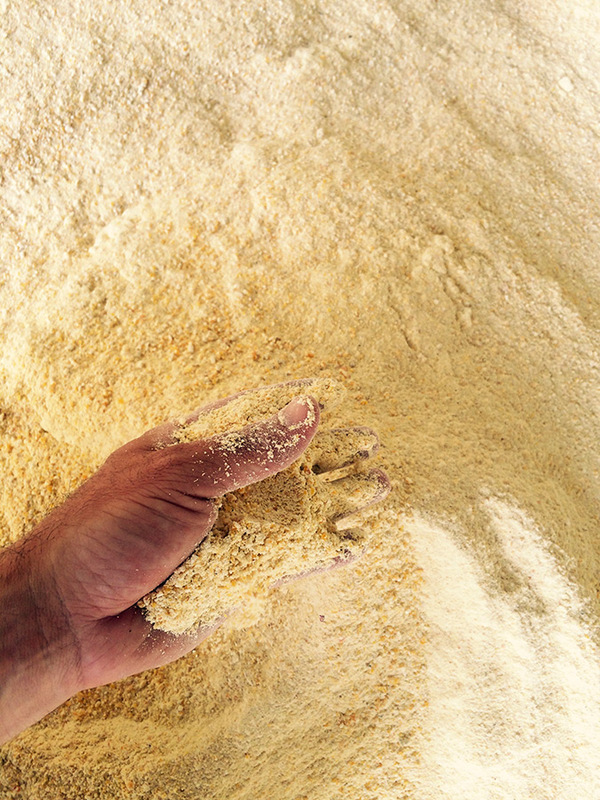 The water valve kit allows liquid or additive to be added as the grain is processed. 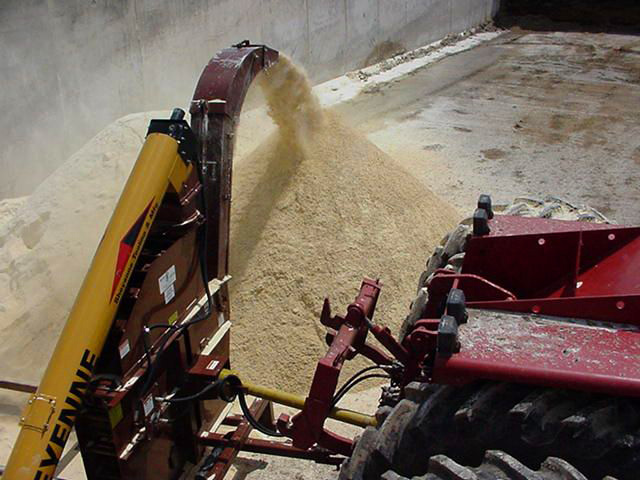 Adding water gives you the option to raise moisture content to desired levels and control dust during grinding. 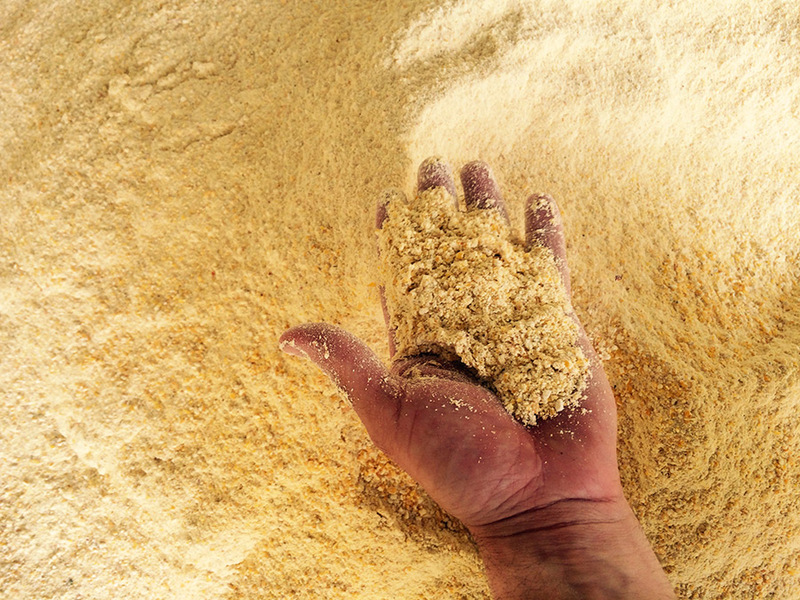 All types of grain, both high moisture and dry, can be processed by Roto Grind Grain Grinders! 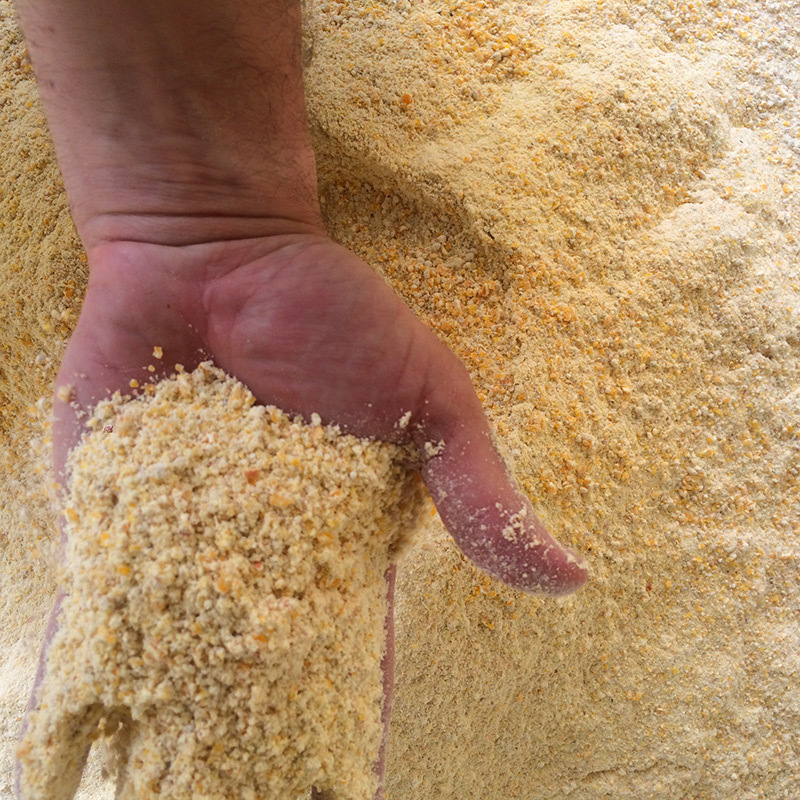 Fine Grind: Almost all corn is a very fine grind similar to corn meal with the largest kernel pieces about 1/8” in size. Medium Grind: About 1/3 of the product is very fine with the rest in ¼ to ½ size kernels. 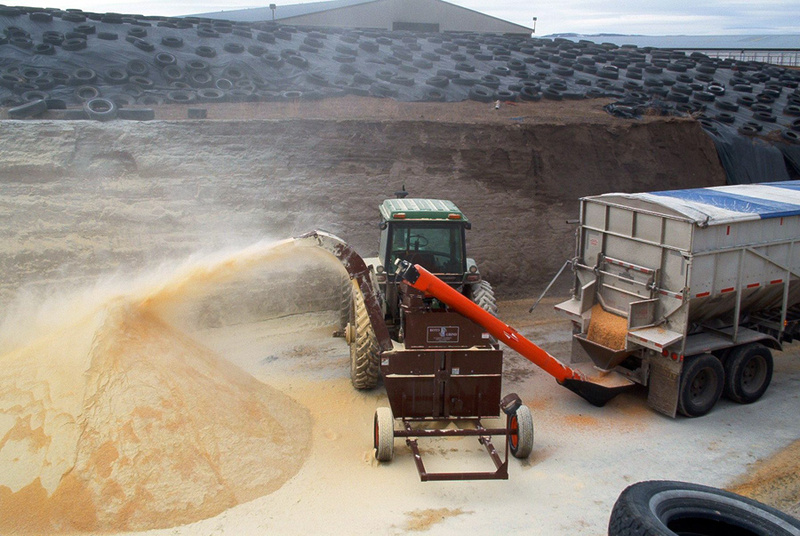 Coarse Grind: 90-95% cracked kernels with about 5% unground and about 5% ground fine. horsepower range, the lower capacity will be for a finer grind and the upper capacity will be for a coarser grind. 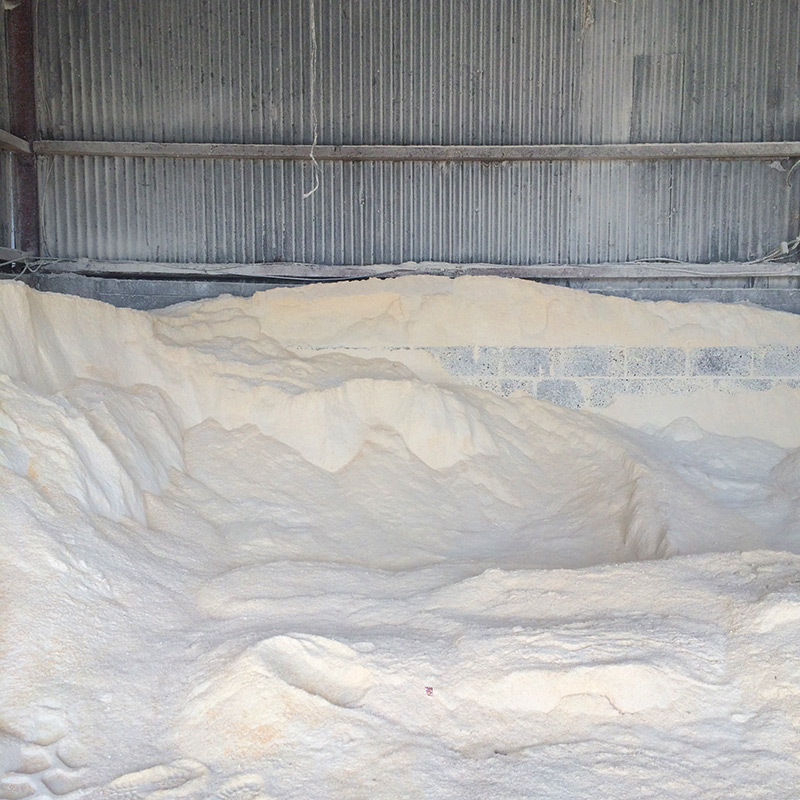 Moisture content will also have some effect on the output capacity of the machines. 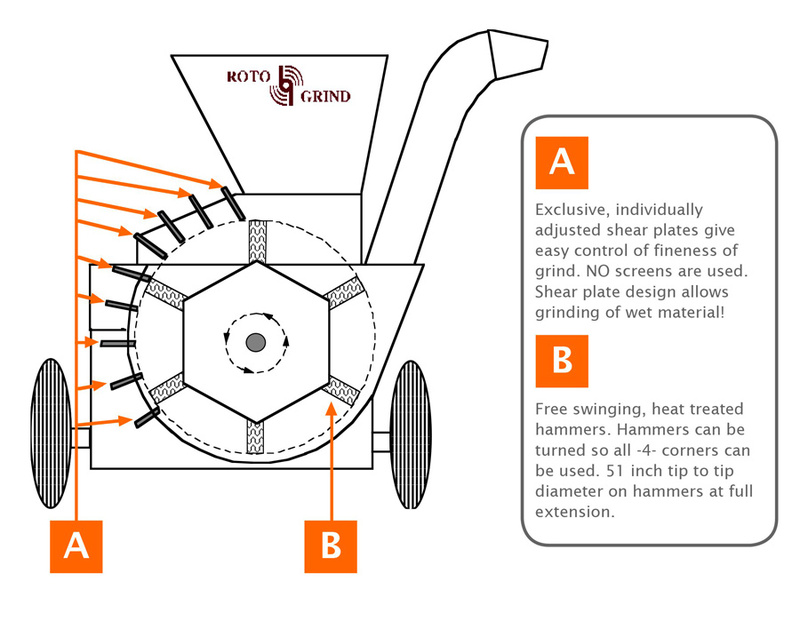 Interested in Roto Grind Grain Grinder?